Becoming a doctor takes a great amount of schooling—in some cases, as many as 11 years. 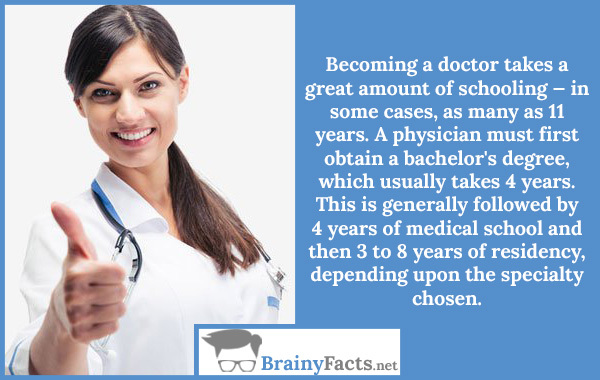 A physician must first obtain a bachelor’s degree, which usually takes 4 years. This is generally followed by 4 years of medical school and then 3 to 8 years of residency, depending upon the specialty chosen.